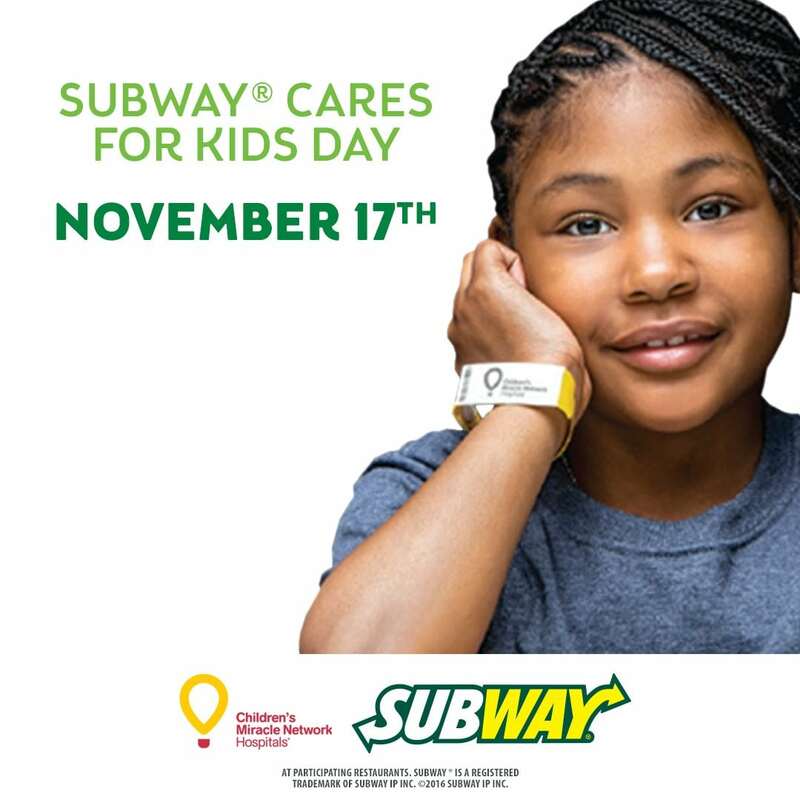 On November 17th, SUBWAY® sub shops in six southeastern areas donated a portion of proceeds to their local Children’s Miracle Network Hospitals. SUBWAY® surpassed their goal of $25,000 and will donate $30,134.73 to Children’s Hospital of Georgia (Augusta, GA), Dwaine and Cynthia Willett Children’s Hospital of Savannah (Savannah, GA), Greenville Health System (Greenville, SC), McLeod Children’s Hospital (Florence-Myrtle Beach, NC), Medical University of South Carolina Shawn Jenkins Children’s Hospital (Charleston, SC), and Palmetto Health Children’s Hospital (Columbia, SC). This was SUBWAY® restaurant’s first campaign for Children’s Miracle Network Hospitals® the Carolinas and Georgia. 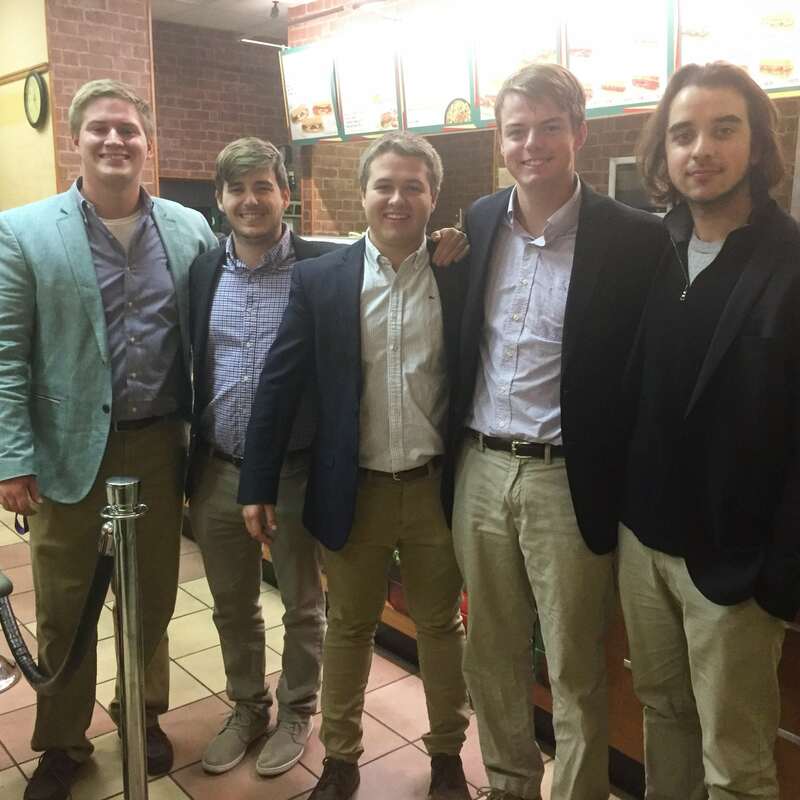 Pictured here are 5 Palathon (Furman University Dance Marathon, Greenville South Carolina) students celebrating their successful Dance Marathon by visiting their local SUBWAY® shop! Thank you SUBWAY® for making miracles happen for your local hospitals!